Experience the joy of upgraded living at Montgomery Manor Apartments & Townhomes. 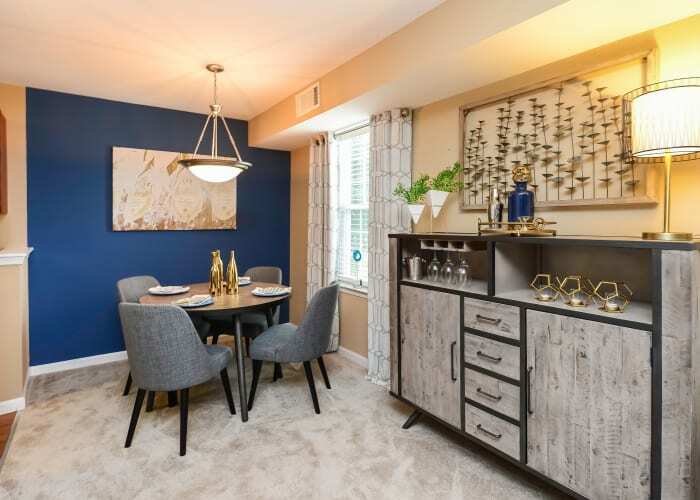 Nestled in popular Hatfield, Pennsylvania, your new home offers a generous, open-concept floor plan, stylish features, and modern finishes. We offer one, two and three bedroom floor plans, some with an open-concept kitchen and breakfast bar, so you can choose the space that best fits your lifestyle. In addition, each home undergoes a meticulous Morgan Properties 101-point inspection, to ensure your ultimate comfort and satisfaction in your new home. Let Montgomery Manor Apartments & Townhomes introduce you to a better way of living. Take advantage of our generous living space and arrange your furniture to your liking. Prepare restaurant-quality meals in your chef-inspired kitchen complete with stainless-steel appliances, a timesaving dishwasher, and convenient counter space. Streamline your chores and toss a load of laundry in your in-home washer and dryer while you cook. After dinner, enjoy a glass of wine while you un-wind in the perfect place to call home. Find the right space for you at Montgomery Manor Apartments & Townhomes. We offer personalized tours so you can view the floor plans that are most attractive to you.